Family run, plush organ vendor, I Heart Guts, is at it again, this time with a new and improved plush large intestine. 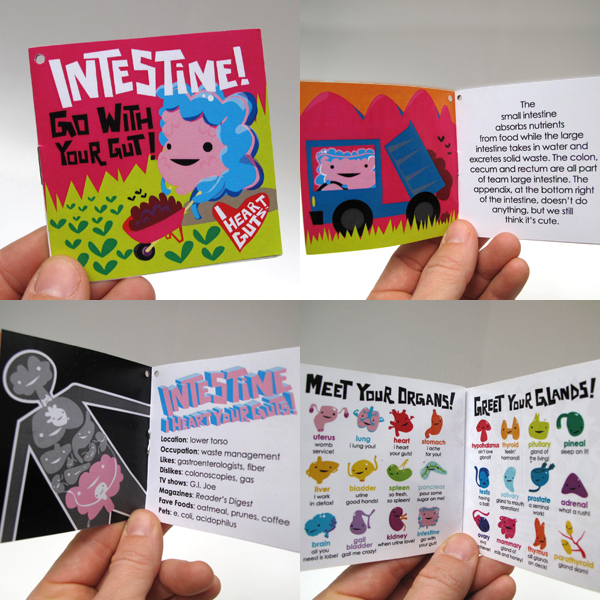 It comes with a detailed booklet hangtag that has intestine trivia and cute art. 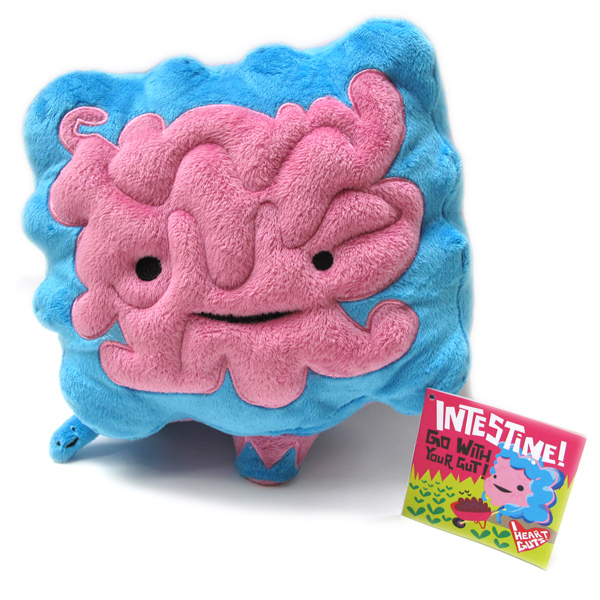 For all your gastrointestinal freaks out there, take a peek at our new and improved plush intestines! If you’ve ever want a large intestine, this is the one for you, comes with a booklet hangtag filled with silly drawings and all the intestine trivia one could ever digest in one sitting.